A DIY website builder or website creator is an online tool that helps you put together a website without any computer coding. Use the Jimdo’s professional website builder to quickly create your own mobile-responsive website without needing to hire a developer—it’s that simple. We don’t skimp on the stuff you need. Website builder and hosting, ecommerce, customer support, bandwidth, and more—all included. Start with our free website builder, and then upgrade if and when you’re ready. Jimdo is the most affordable website builder on the market—perfect for new ideas! No complicated HTML or squinting at lines of code late into the night. Our developers have done all the work behind the scenes, so you don't have to. Jimdo is as tech-free and simple as possible. Just click to add your own text and photos, and make changes whenever you want. You control your website! If you’re starting your own business, you’re already used to wearing many hats—CEO, HR, social media guru, etc. With our easy website builder, you can add web designer to that list too. We know what it takes because we’re a small business ourselves based in Hamburg, Germany. We started in 2007 and have been helping people build their own websites ever since. The online website builder for everyone! 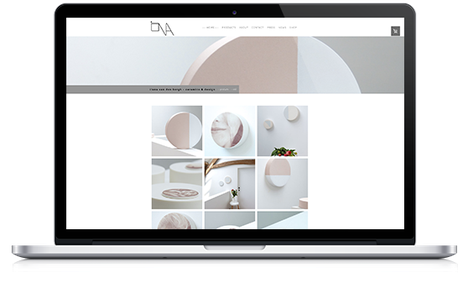 Create any type of website you want with Jimdo: a small business website, online store, blog, portfolio, one-page website...the sky’s the limit. Check out examples of our customers’ websites below to see why Jimdo is the best website builder out there. You can also see more on our Outstanding Jimdo Websites page.